When camping in the wilderness after a long day of hiking or backpacking, all you need is a comfortable sleeping bag with all the properties of a cozy bed to remind you of the bed you left at home. Such sleeping bag must have, among other properties, a great comfort, insulation, waterproof, less weight, and warmth to be dubbed the best in outdoor sleep outs. Often times, only sleeping bags made of natural materials such as the Down fulfill these requirements when compared to synthetic materials. Nemo Equipment, as the renowned manufacturer of outdoor sleeping bags since 2005, brings Nemo Concerto Down Sleeping Bag, which has met these requirements. This Concerto bag has proven to be a competitive sleeping bag among other renowned sleeping bags on the market. The first-ever integrated Sheet gives this bag a range from 20°F to 80°F. 700 FP DownTek down and an integrated pad sleeve making this one of the lightest beds you’ll ever own. Shell Fabric: 40D Nylon Ripstop w/ DWR. Footbox Fabric: 40D Nylon Ripstop OSMO. Lining Fabric: 30D Nylon Ripstop w/ DWR. Nemo Concerto has all the ingredients of a cozy bed: a soft sheet, room to stretch out, a 700fp DownTek down comforter. The Concerto sleeping bag redefines comfort and takes warmth to another level with its unique features, which we will unfold below. The most important attributes of this sleeping bag are versatility and comfort in three seasons and in many camping terrains. Let’s unfold some of the important product specifications that set this product apart from others. With an overall weight of 5.8 pounds, this sleeping bag fits among the lightest weight sleeping gear out there. It is however not the most lightweight product, but nonetheless a great deal for ultralight hikers who want a huge space to stretch out. The storage bag is provided for you to store the bag on the go. The bag’s compressed volume will fit perfectly in the storage bag. Even more enticing is the fact that this sleeping bag can be folded, while the sleeping pad has been enclosed inside for the ease of travel. So, if you want a light weight hiking gear, the Concerto can be ideal for your situation. 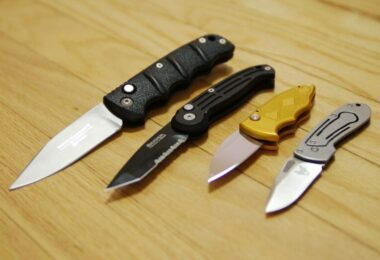 Generally, the packed size of 16 by 12 inches is convenient for any outdoorsman, especially car campers. The construction of the Nemo Concerto includes an integrated sheet and Nemo blanket fold. As far as the design is concerned, the blanket fold, offers a reliable temperature range of 20 to 80 degrees Fahrenheit. This range keeps you warm and zipped in while feeling cozy and satisfied by the sleeping gear. The shell is made of 40D ripstop nylon treated with DWR, and the footbox is made of 40D ripstop nylon OSMO. Durability is also one of the important features because no one wants to spend so much money on a sleeping bag that will tear out after 2 vacations. Permanence is measured by the toughness and the quality of the fabric materials. This sleeping bag is made of quality materials such as the 40D nylon ripstop in the outer shell and 30D nylon ripstop in the lining fabric. The footbox is also made of a 40D nylon ripstop to solidify its durability. Furthermore, the water resistant coating is also a great deal of durability because water damages are common when camping in the wilderness. Also the integrated pad sleeve makes the sleeping bag durable, especially when using it on rough surfaces. 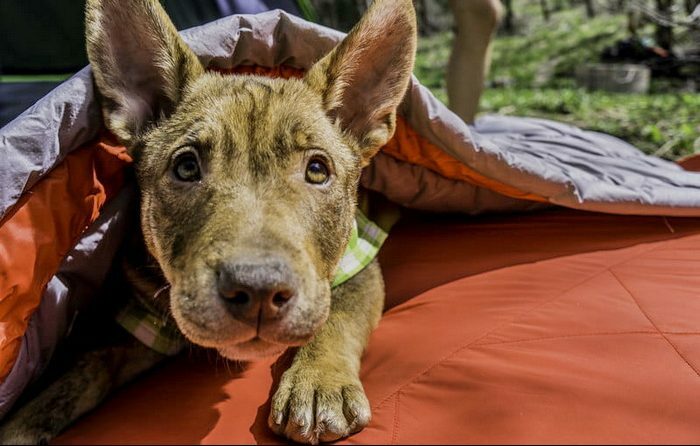 Because we love hiking in unpredictable locations, so having a water resistant sleeping bag is a plus. The water resistant tent alone may not be sufficient because anything can happen. The NEMO Concerto is coated with the DWR on the outer and lining fabrics. This coating does not interfere with the breathability of this sleeping bag. The rectangular shape makes breathability a breeze. No too much perspiration may result. 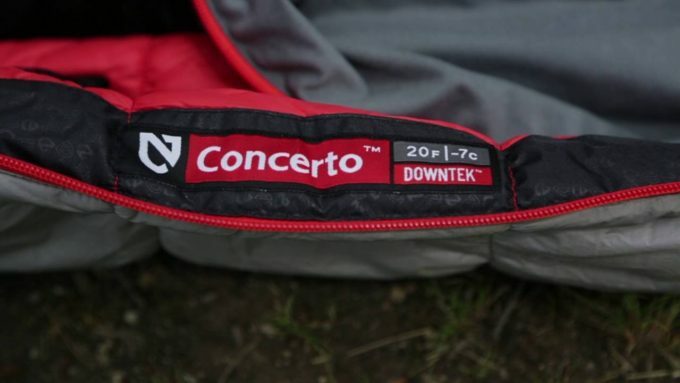 The Concerto sleeping bag has proven that even the lighter bag can be incredibly warm. A 700 fill power DownTek™ down has been used in achieving this warmth without compromising the weight as one of the primary goals of hikers. 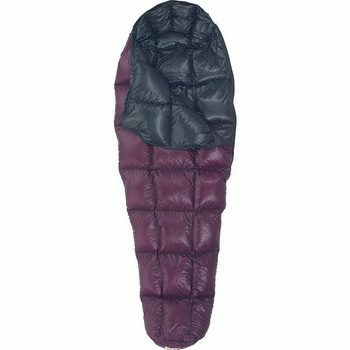 The integrated pad sleeve that can enclose the 25 inch sleeping pad (sold separately) also plays a great role in enhancing the warmth of this sleeping bag. You can then enjoy the cold nights with a temperature range from 20 degrees to 80 degrees Fahrenheit. 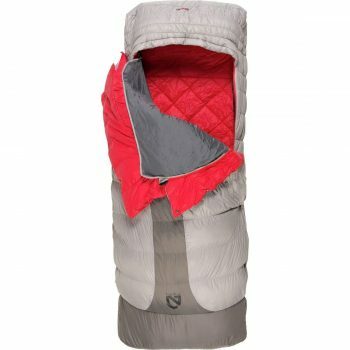 The bag’s dual zippers and the integrated sheet reinforce competitive warmth whenever wrapped in this sleeping bag. But we cannot guarantee you greater warmth if you camp predominantly in the winter seasons. That might prompt you to purchase additional insulated materials. For the three seasons other than winter this bag guarantees the best warmth. Normally, the most comfortable sleeping bag has sufficient loft, soft inner lining fabric, has breathable shell, and provides the greatest warmth. The Nemo Concerto offers you all the comfort you need. Well, with its integrated Blanket Fold™ sheet, the Concerto bag ascertains a great deal of comfort that will not make you regret having slept outside in the first place. It is designed to simulate the home’s cozy bed in the wilderness. Remember that now the external temperatures play a role. 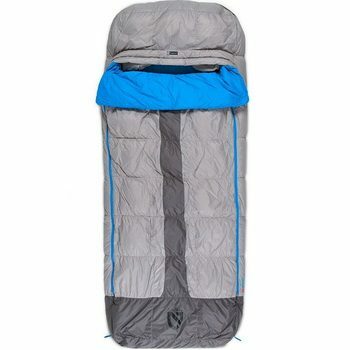 That said the sleeping bag from NEMO provides you a well-insulated inner fabric to enhance your comfort regardless of the harsh temperatures within its range of comfort. Furthermore, the rectangular shape of this sleeping bag speaks for itself with regard to a sufficient loft to boost mobility for side sleepers. That’s a plus property of comfort for outdoor enthusiasts. So, if you’re looking for the most comfortable sleeping bag, you might as well start considering this product. Versatility is about the usability of the sleeping bag in many exposed conditions and terrains. So with the temperature range of 20 to 80 degrees Fahrenheit, 700-fill DownTek down, integrated pad sleeve, and an integrated sheet with Blanket Fold™, we are convinced that this sleeping bag can be used in many temperature conditions within its range. That could be the 3 seasons with the exception of the winter’s freezing coldness. It can also be used on rough surfaces, perhaps on the top of the mountains or non-groomed terrains because of the integrated pad sleeve. Once the sleeping pad has been inserted, then you have a thick surface to sleep on to survive the colder surfaces. Blisters on your body will be a thing of yesterday. The bag’s light weight, made possible by the DownTek down, also makes it more versatile to be carried for hundreds of miles. Integrated sheet & fold-down top: The inclusion of the integrated sheet along with the fold-down top offer effective and reliable temperatures that range from 20 degrees to 80 degrees Fahrenheit. 700-fill, DownTek: The DownTek down used is the best in the market. It is treated to retain the desired fill power; not to mention that it doesn’t have a determinate increase in weight. DWR treatment: The shell material is DWR treated for improved water resistance. Apart from water repellency, the treatment increases the bag’s insulation. Temperature rating of 20 degrees Fahrenheit: This rating makes it an ideal choice for a cold sleeper, which can keep the occupant warm when the hotness is 30 degrees or warmer. As noted above, this sleeping bag costs approx. $400. The price can increase to approx. $600 if you pair it with the pillow and the sleeping pad. This is in fact a great investment for frequent hikers and backpackers. You will know that, no matter what, you have a great combo that can be carried to any place. On top of that it has sophisticated features that you might find at higher prices in synthetic bags or other competitors. Well, if you’re a beginner, add to that price the other accessories such as the camping tent. 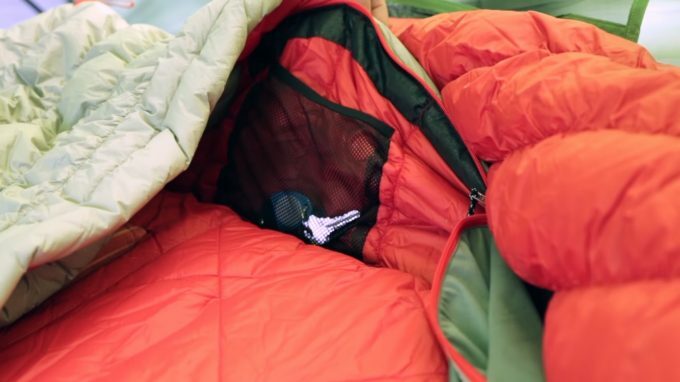 You cannot rely on this sleeping bag alone to camp in it, unless you plan to sleep in your car. Otherwise the camping tent has to be purchased too. We have to emphasize that the bag’s price is a great value for investment in this NEMO’s product. There is no warranty info on Amazon, but you can contact the manufacturer for details. 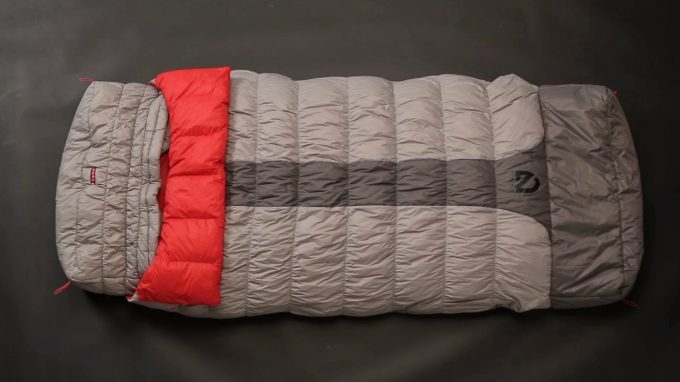 The Sea to Summit Spark SP III Sleeping Bag is among the best three-season sleeping gear. It will serve you exceptionally in mild winter, summer and spring out-of-doors expeditions. This is a new addition to the long list of sleeping bags in the market. It is the option you should settle for if you are tired of the poor-performing traditional sleeping bags. You do not have to experience too much discomfort because of the alarming price tag of the bag. It is worth every dollar. There are more reasons than one for choosing the Spark SP III sleeping bag. 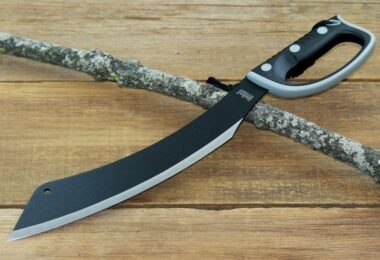 To begin with, it has a high-performing design. Weighing in at 1.6 pounds, it is one of the lightweight bags for backpacking. The bag is made of sewn-through transverse baffle construction. The shell of the bag is made of 10D UL nylon with DWR treatment. The incorporated liner constitutes of 15D nylon soft touch with a brilliant, high density weave. The ultra-dry down (850+ loft) is an enduring Nano-level treatment that absorbs less moisture and retains more lofts. The bag saves enough weight and space. It creates enough room that captures heat more efficiently than traditional bags. 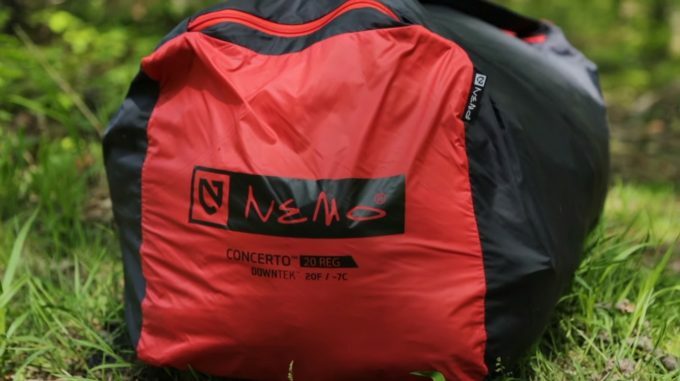 The Nemo Concerto sleeping bag has a more effective down (with a temperature range of 20 to 80 degrees Fahrenheit) when compared to the Spark SP III bag. They are both easy to backpack. The Spark SP III is truly a minimalist bag that is made of lightweight materials and down. Both of these amazing sleeping bags (Nemo Concerto and Spark SP III) does not compromise mobility and comfort. 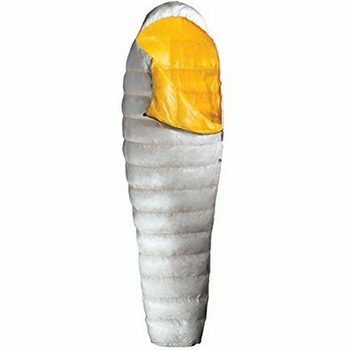 The Western Mountaineering HighLite 35 Degree Sleeping Bag is a high-performing sleeping gear for mountaineering expeditions. 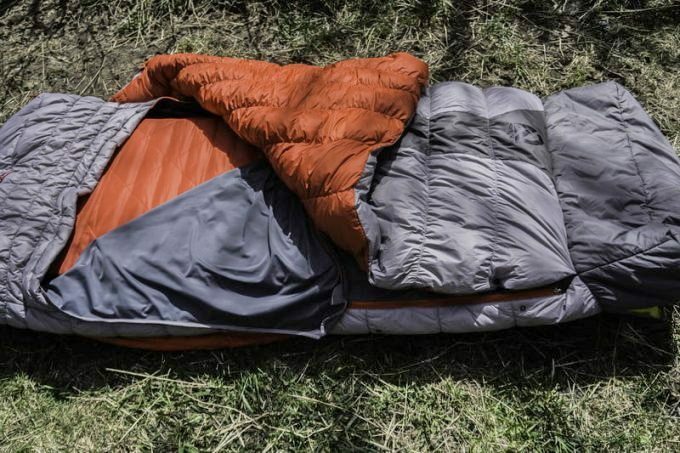 It is among the best sleeping bags for trail adventures. Unlike traditional models, the manufacturers of this particular bag paid attention to weight and compressibility. It is a good choice for a couple. The 2C comfort rating is perfect for higher altitudes. Backpackers with limited space should not think twice about purchasing this bag. As aforementioned, the bag is a master of compressibility. It will take less space in your backpack; you will not even feel the added weight. You can remarkably stuff the sleeping bag in approx. 30 seconds into its 5.5 liter sack. You will admire the dark colors of the bag, which help it dry fast when exposed to daylight. There is only one design feature that will be of concern, and that is the half-length zipper, which makes cooling an issue when camping during summer. When compared to the Nemo Concerto, the Western Mountaineering HighLite is lighter and a good choice for ultra-light backpacking. The packable and breathable shell fabric along with the half-length zipper saves weight. You should settle for the Western Mountaineering HighLite if you want to save backpacking space. Otherwise, go for the Nemo Concerto to experience the comforts of a bed out-of-doors, including a room to stretch out and a soft sheet. 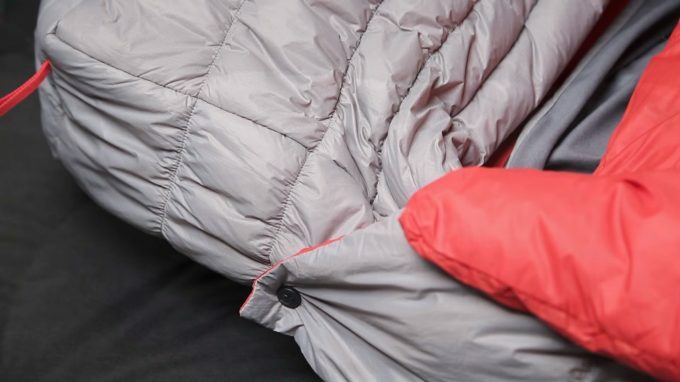 You could call the Nemo Strato Loft Sleeping Bag the world’s coziest anorak, or you might say it is the most convenient as well as the most livable bag from Nemo series. Either way, it is the ideal sleeping gear for campers and hikers who hate to crawl out of a warm sack on a chilly morning. Short distance hikers and car campers can really enjoy the roomy back country comfort of the bag. It is the perfect fit for car campers because of its rectangular cut and plentiful dimensions. You will love the Nemo Strato Loft if you are a side sleeper. The attention to detail is remarkable. Everything about the bag is worth paying for starting with its generous dimensions and rectangular cut. The 76-inch girth at the shoulders and side zipping allow you to sit up, lounge and thrash. The bag’s extra-long top and the underside stretchy sleeve provide the comfort of a home bed. The DownTek (700-fill) treated duck down is protected by the breathable and waterproof fabric for undisturbed sleep. Both the Nemo Strato Loft and Nemo Concerto have durable construction. The Nemo Concerto has a temperature rating of 20 degrees Fahrenheit, while the Nemo Strato Loft has a temperature rating of 25 degrees Fahrenheit. Therefore, your choice between the two bags based on temperature ratings depends entirely on whether you are a cold or hot sleeper. However, the Nemo Strato Loft is lighter and convenient for ultra-light backpacking. On average, the Nemo Concerto sleeping bag is a great deal for hikers because of its sought-after comfort, durability, insulation, and warmth features. The fact that the company made it possible to pair the bag with the sleeping pad has attracted many customers because they are assured a great comfort and warmth in the inclement temperatures. Its water resistant coating makes it an ideal product to be used in damp conditions. The water resistant coating does not jeopardize the breathability feature of the 40D nylon ripstop used on the outer shell and the 30D nylon ripstop on the lining fabric. The well-constructed shell and footbox redefine coziness while camping, hiking, or even mountaineering. The rectangular shape is a plus. Square at the shoulders and feet, the Nemo Concerto is essentially a double-over blanket. It makes a fine companion for out-of-doors. What makes the rectangular shape of this bag resourceful is the incorporation of an effective 700-fill, DownTek treated down. Generally, the bag’s insulation is remarkable – it will keep you safe from condensation, rain and wind. 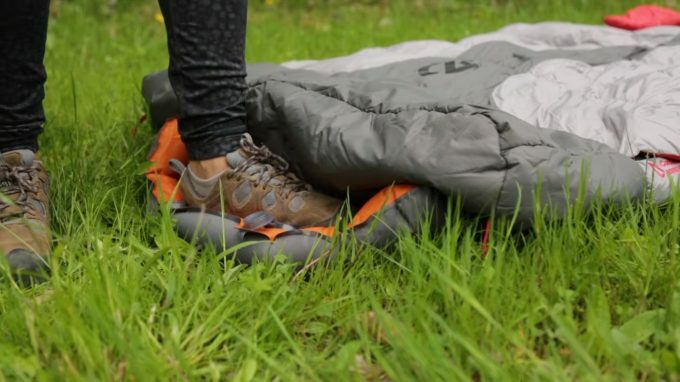 Having gone through this review, we are confident that you’re probably tossing your fingers now, and at the same time comparing this sleeping bag with others on the market. We’ve unfolded the essential features that are of paramount and foremost importance to many outdoor devotees. Also the related products manufactured by Nemo have been unfolded so that you can pair them with this sleeping bag for a great combo. This sleeping bag is meant for many outdoor enthusiasts whose priorities include a warm, comfortable, durable and lightweight sleeping bag in their gear. 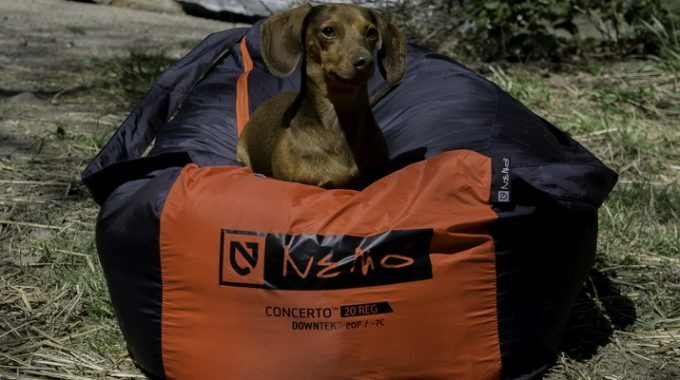 The Nemo Concerto sleeping bag was made with campers in mind, what kind of temperatures that they are exposed to, and what kind of terrains they travel to. This is evidenced by the comfort it brings to the sleepers with a temperature range from 20 to 80 degrees F.
Did you buy and use this product during your outdoor expeditions? If so, we’d appreciate if you shared your experience and thoughts in the comments below.